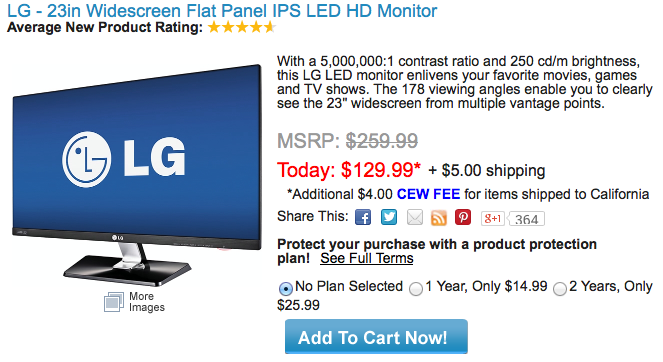 LG 23″ IPS LED $134.99 shipped (Reg. $259.99) Today only via Cowboom. Dell 24″ LED backlit LCD $119.99 shipped (Reg. $229) Limited quantities via B&H.